Lisa Orrell, The Generation Relations Expert, and author of "Millennials Incorporated", appears on ABC's popular Bay Area talk show, "The View From the Bay", to discuss shifting dynamics as Generation Y enters into management. New workforce dynamics emerge as members of the Millennial Generation (Gen Y) reach their late-twenties, enter into management positions at work, and now supervise Boomer and Gen X employees. Generation Relations Expert, Lisa Orrell, whose book, Millennials Incorporated, has ranked #1 on Amazon in its genre consistently for several months, shares her insights about this growing trend on ABC's KGO-TV talk show, The View From the Bay. "My expertise around recruiting, managing and retaining Millennials-Gen Y is still a very hot topic, but the media has recently been contacting me quite a bit to discuss the 'older employee with Millennial boss' scenario," says Lisa Orrell. "And more companies are asking me to conduct my newest seminar, 'Improving Communication Across the Generations'. A lot of companies are very challenged with 'generation relations' at work, and seek my help to improve employee morale, communications and productivity." One key point that Lisa shared during this television interview was how the Millennial generation's overall optimistic spirit is something that older employees, being managed by Millennials, should be aware of. Their optimistic nature is now a key trait of their management style. Lisa supported this claim by sharing survey results from a recent omnibus survey conducted by StrategyOne® on behalf of Pepsi for the new Pepsi Optimism Project. The survey revealed that, even during this challenging economic time, 77% of Millennials are optimistic about their careers and 4 out of 5 Millennials are hopeful about the future. "And aside from an optimistic spirit, Millennials like to communicate, one-on-one, a lot. This was proven by another survey that revealed over 60% of Millennials want to communicate with their managers at least once a day!" shares Orrell. "So now that Millennials are becoming managers, they expect to communicate often with their employees. This is certainly a management style that many older generations are not typically used to!" 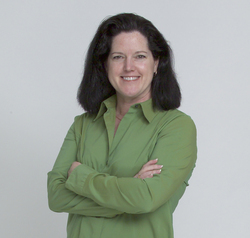 Based on her expertise, Lisa has also appeared on MSNBC, and has conducted many media interviews for national and international magazines and newspapers, as well as for online media, such as: Monster.com, HR.com, FoxBusiness.com and CareerBuilder.com. She has also conducted many seminars for prominent organizations (partial list), including: Paul Mitchell Schools, Cisco, Brocade, Blue Cross/Blue Shield, Crowe Horwath LLC, and USC's Marshall School of Business. "I knew Lisa Orrell was a leader in generation relations, but I did not know what a huge success her book would be!" says the book's publisher, Nancy Cleary of Wyatt-Mackenzie Publishing. "We're thrilled for her success, and excited about the interesting insights that she's bringing to the business world, and media, with her cutting edge knowledge in this fascinating area." For more information and media inquiries, please contact Lisa Orrell at The Orrell Group. Contact info: Phone 1-888-254-LISA (5472), or visit The Orrell Group. 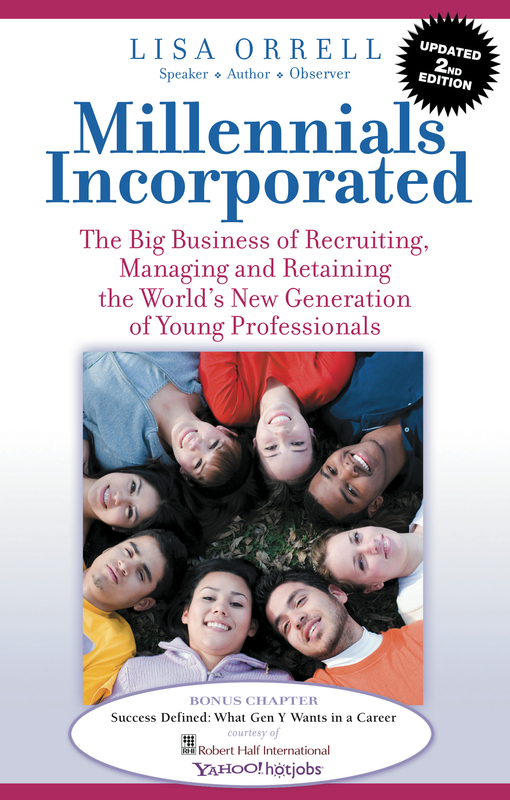 Lisa's Popular Book: Millennials IncorporatedRanked #1 in its genre on Amazon The Orrell GroupLisa Orrell is an in demand speaker & consultant on improving generation relations at work.